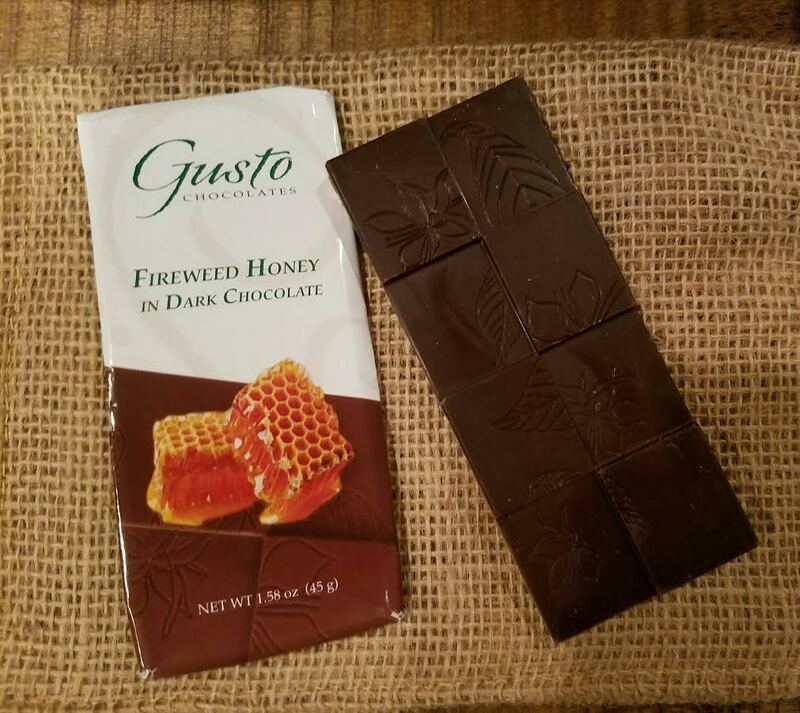 Forte Chocolates Gusto Chocolates Fireweed Honey in Dark Chocolate- The light nose of American Fireweed honey (harvested in Washington) has been artfully paired with a fruity Madagascar dark chocolate blend to create a full flavored bar with a smooth honey finish that is hard to resist. I think this is my favorite bar in the bunch. I just love that honey flavor. 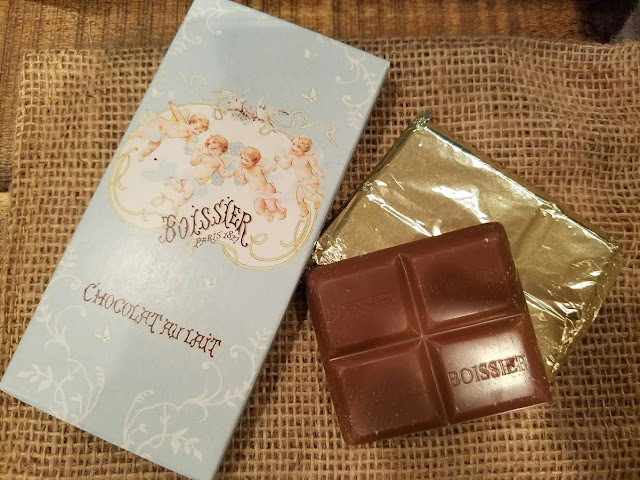 Boissier Paris 1827 Chocolate au Lait- Imported from France, using antique molds and poured by hand, this is 31% milk chocolate. AskAnya Dark Chocolate Minuit- Askanya is Haiti's first and only bean-to-bar chocolate company. The Minuit bar uses single origin organic cacao grown in the north of Haiti. Experts note a soft aroma of melon, prunes and raisins. I just note deliciously dark chocolate. Smooth and silky. 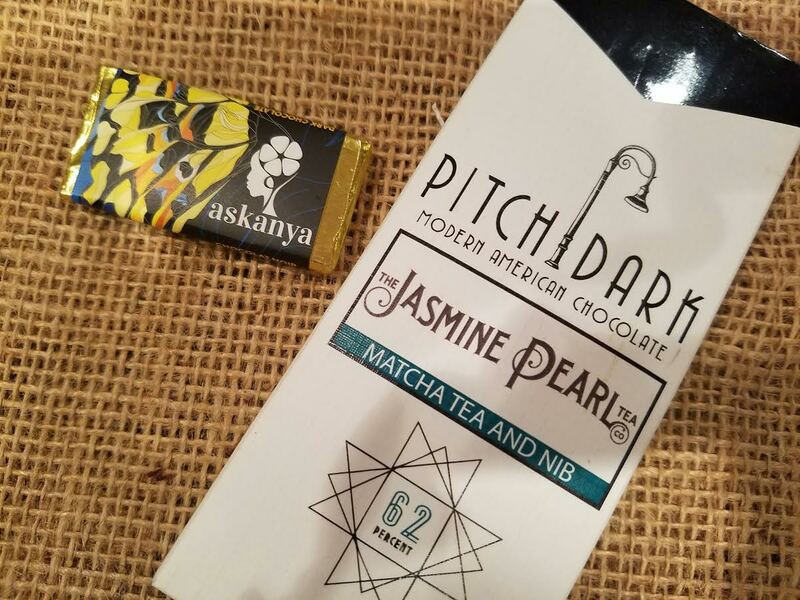 Pitch Dark Modern American Chocolate Jasmine Pearl Tea- This 62% cacao bar is made with matcha tea and nibs. The cacao is from Nicaragua and the matcha powder adds a little caffeine kick to this bar. PitchDark is located in Portland and everything is done the old fashioned way- from roasting to wrapping. Rococo Chocolates Basil and Persian Lime- Made in Great Britain, certified organic and vegan, as well, this is an obviously unique combination. Described as "tangy and intense, the Persian lime and peppery basil fusion gives the bar an almost wine-like complexity." 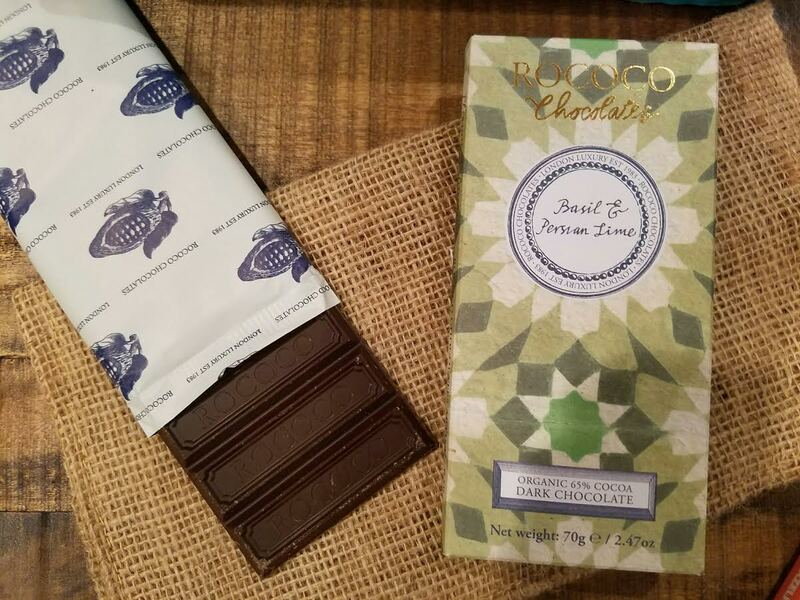 It's 65% dark chocolate and it's delectable! It's a tie for first place between this one and the Forte Fireweed Honey one. Taza Chocolate Stone Ground Hazelnut Crunch- Crispy brown rice is paired with 65% dark chocolate and fresh roasted organic hazelnuts in irresistible grab-and-go mini bars. Tazitos are the perfect size for a sweet and satisfying snack! 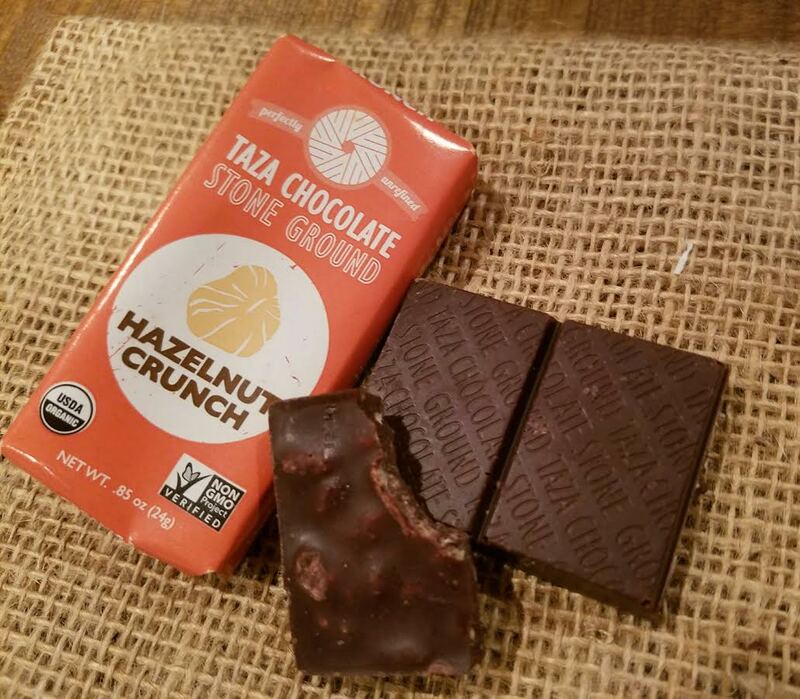 It's 65% organic dark chocolate and made in Massachusetts. I've always liked the sort of crumble that stoneground chocolate has. With the nuts, this is crunchy heaven. VERDICT: This is a luxe chocolate box and probably the most delicious box I've ever received. The chocolates are high quality and conscientiously produced. They're from independent manufacturers with stories behind their passion for chocolate. For spoiling yourself or treating someone you love to something wonderful. It's especially perfect as a "thank you" gift or an unobtrusive holiday "appreciation" present. 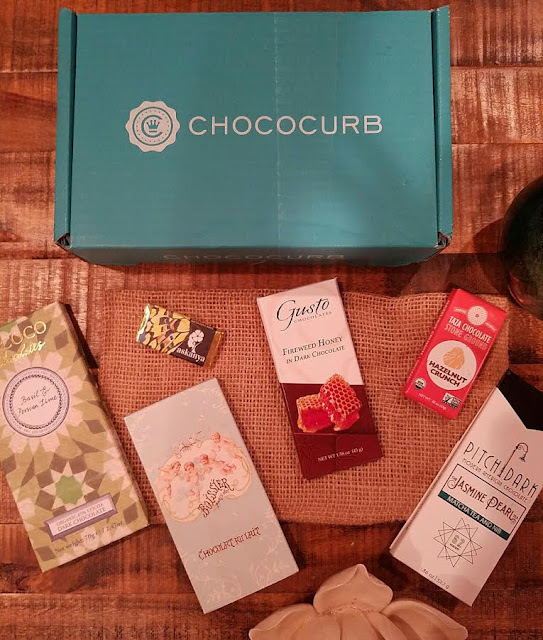 If you would like to try Chococurb, sign up here on their website. Make sure to use coupon code BITSNBOXES at checkout to get $10 off your box. When you sign up, you'll be asked to fill out your chocolate profile so you'll get more of what you love.